Kasich vetoed the highly controversial bill on Tuesday and instead signed one prohibiting abortions beyond 20 weeks of pregnancy. 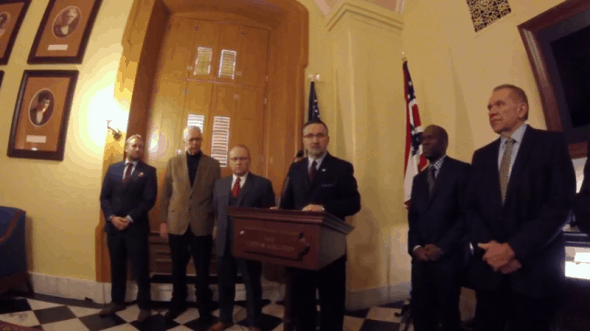 On Thursday, conservative anti-abortion groups held a public news conference at the Statehouse to condemn Kasich’s decision and continue to call for the heartbeat bill. Shortly after, NARAL and other pro-choice groups joined the Statehouse to protest Kasich’s signing of the 20-week ban bill.